Watch Saturday beginning at 12:30 a.m. ET as Canada's men's rugby sevens team play at the the 2017-2018 season opener in Dubai. Click on the video player above to watch action from the World Rugby Sevens Series opener in Dubai. 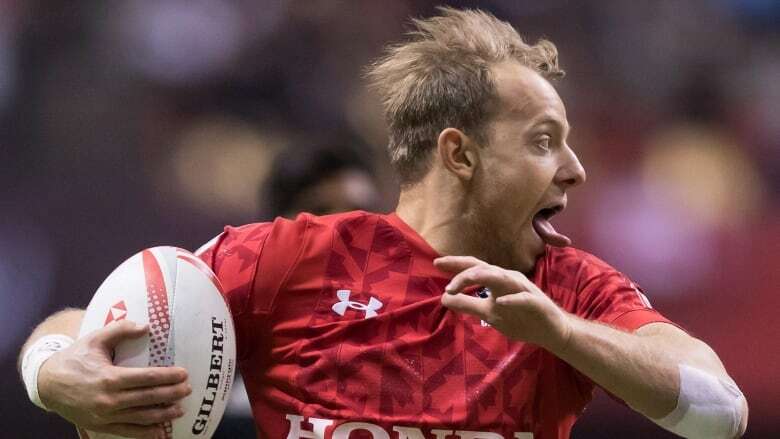 The Canadian men scored a Trophy quarter-final win ove the U.S. on Saturday, but fell to Frace in the semis. On the opening day, the Cnaadians got a win over Uganda but fell to Kenya and South Africa.